I love Easter. It always makes me think of new beginnings, a fresh start and of course, Cadbury creme eggs (lots of them). 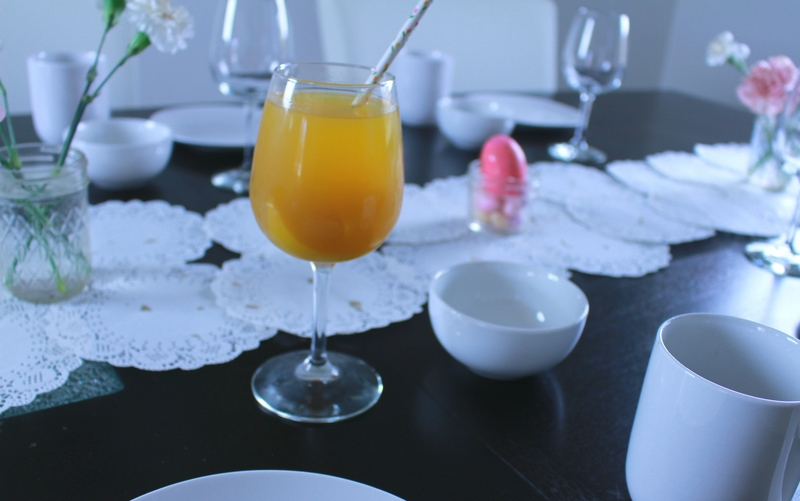 Today I bring an Easter Brunch inspiration. I think brunch is a fantastic meal to have at Easter time. Everyone has time to go to church or sleep in late and then afterwards a no hassle relaxed brunch. For brunch there are usually lots of options; pastries, omlettes, cakes, cheese boards…the works. I chose three recipes I think would add a great touch to a brunch menu. They are all simple and affordable. I also laid out an Easter/Spring tablescape and added a delicious cocktail. 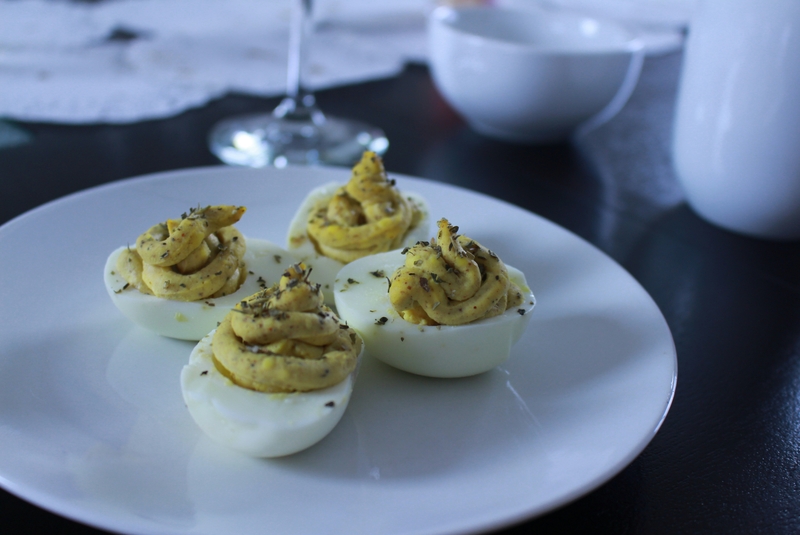 This is a brunch staple and of course well suited for Easter. 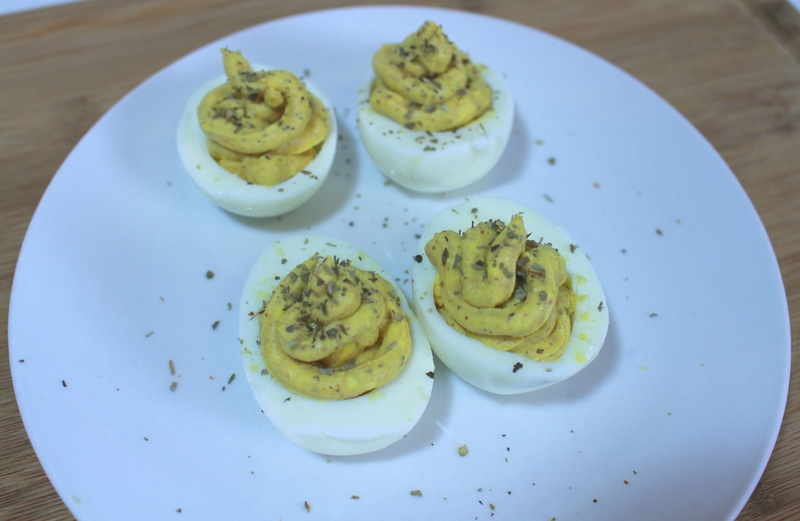 Deviled eggs turn simple boiled eggs into a creamy flavourful treat. Spices– I used salt, black pepper and paprika, just a pinch of each. 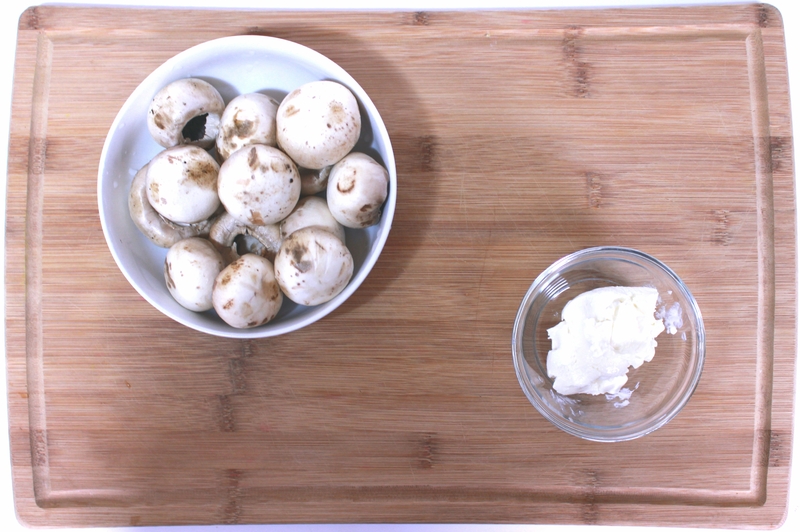 1) Hard boil eggs, let cool and remove shells. 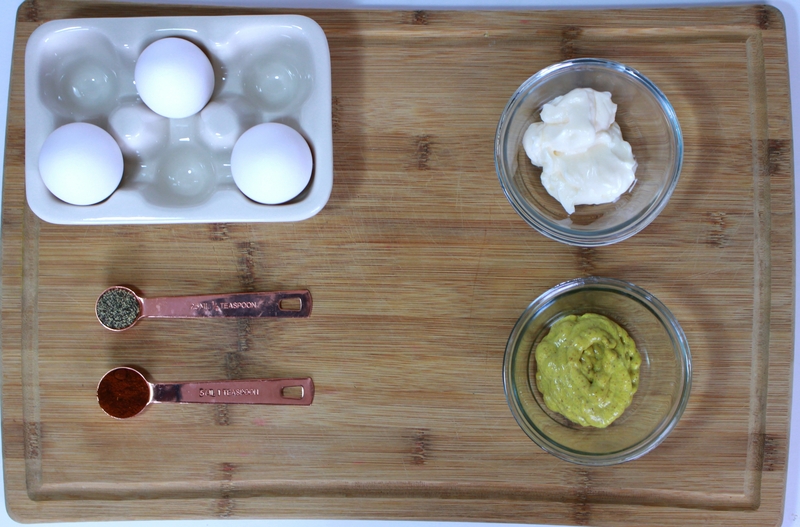 2) Cut eggs in half and gently remove yolks. Set whites aside. 3) Add condiments and spices and mix until a smooth paste forms. 4) Place paste into piping bag (you can use a zip lock and snip the end) and pipe into egg whites. 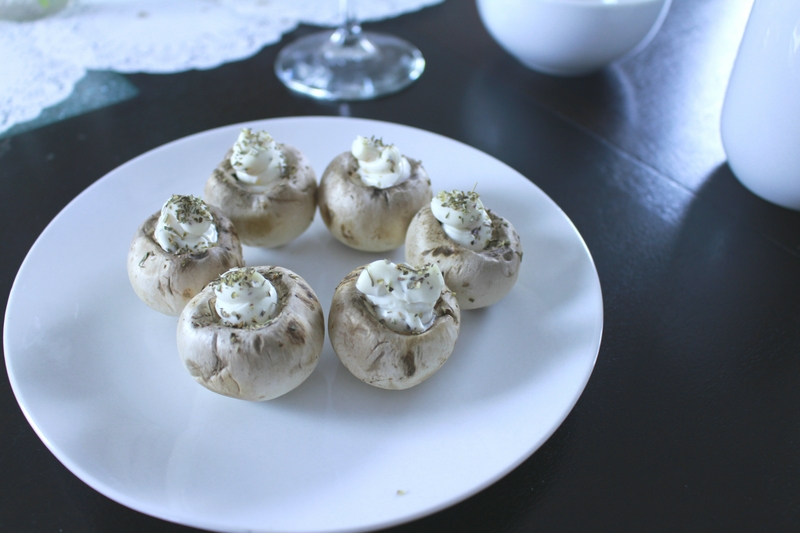 I remember the first time I had this version of stuffed mushrooms. My mother brought them home from a local Italian bistro and my life was changed. Something about soft, tart cream cheese against the crunch of a fresh mushroom is a perfect match. 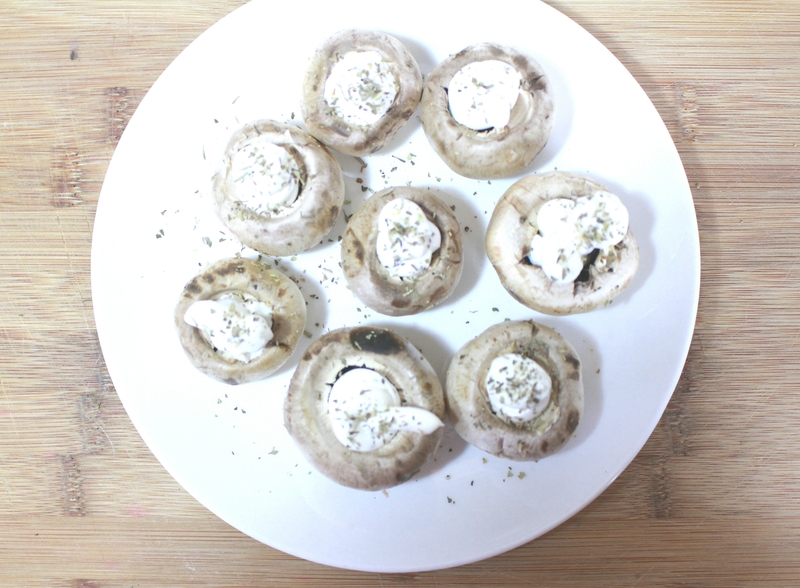 Cream cheese– The amount you use depends on the number and size of the mushrooms but about 2 tbsp fill 8 medium sized mushrooms. Spices– I used lemon pepper and some oregano. 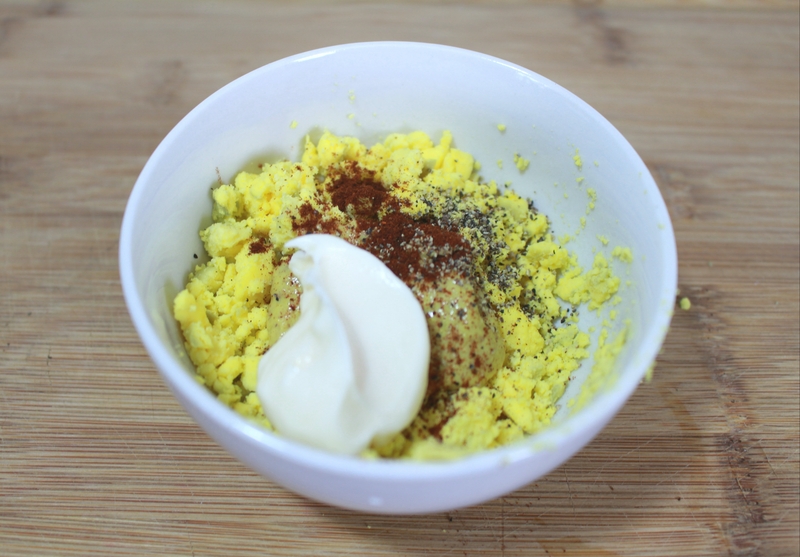 1) Add spices to softened cream cheese and mix. 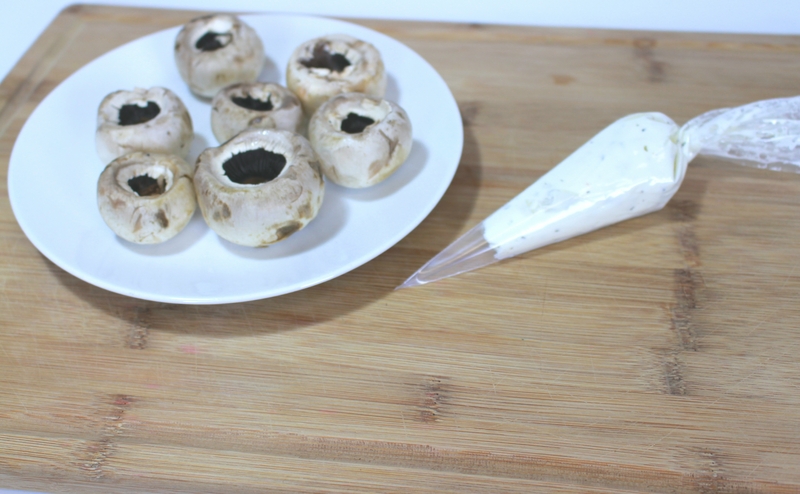 2) Place in a piping bag and pipe into mushrooms. 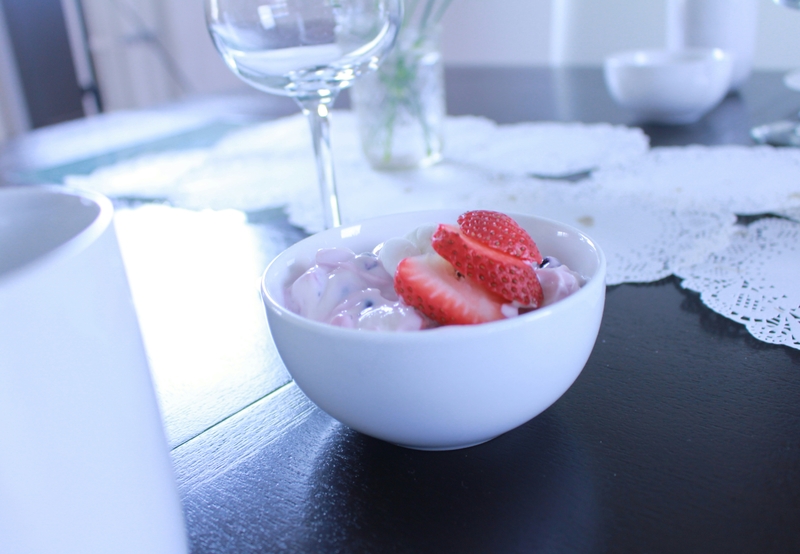 This is my take on an Ambrosia salad. 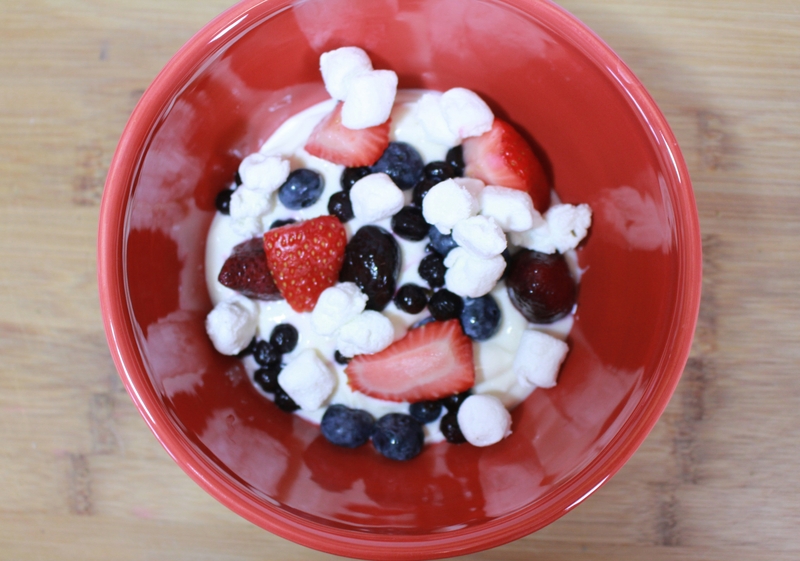 I substituted cool whip with Greek yogurt for a healthier twist and a more “brunchy” feel. I used arbitrary amounts, a little bit of each. The amounts you use depends on how much you plan to make. Greek yogurt- The one I used is plain combined with honey so it’s already sweet. A great alternative is vanilla but really any flavour you prefer can be used. Mix altogether and keep refrigerated until ready to serve. What’s the best part about brunch? 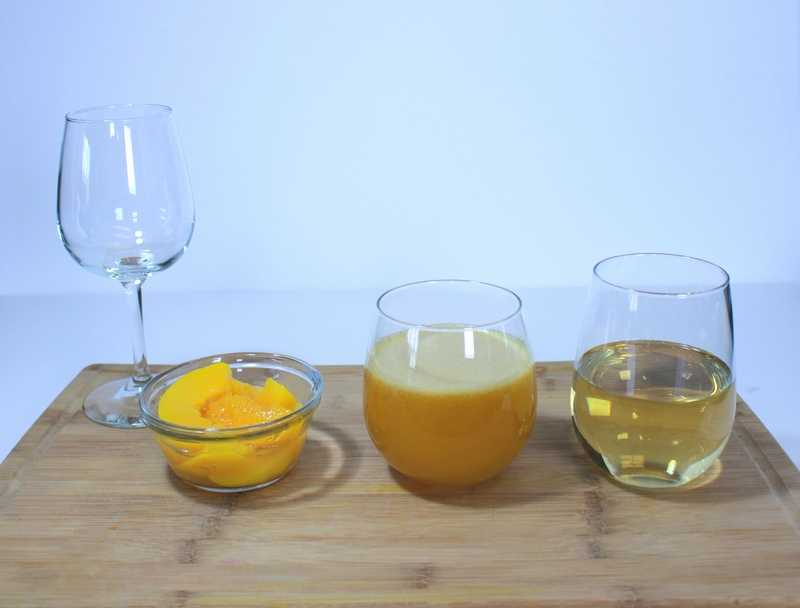 The fact that you get to splash your juice with wine. Lol. Now mimosas traditionally consist of wine and citrus juice hence my use of air quotes. Technically this is a peach cocktail but when doing brunch, we call it a mimosa. 2 ) Fill glass halfway with wine. 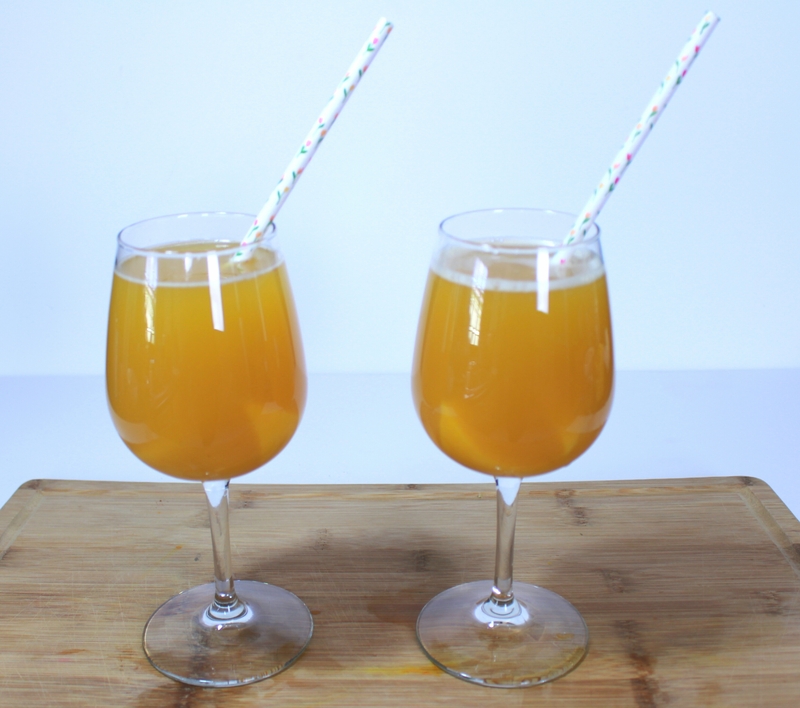 3) Top off with peach juice and add a straw. An important part of entertaining is creating ambience. For this I chose a simple, clean fresh look in keeping with the idea of a relaxed yet sophisticated setting. 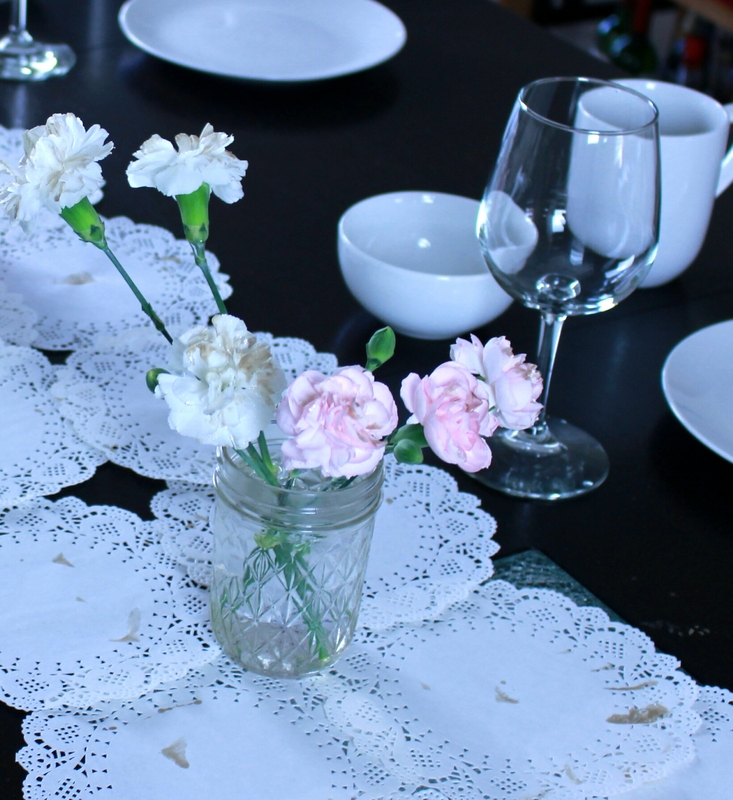 This tablescape employed some crafty skills but all were simple. My colour scheme was pink, white and gold. 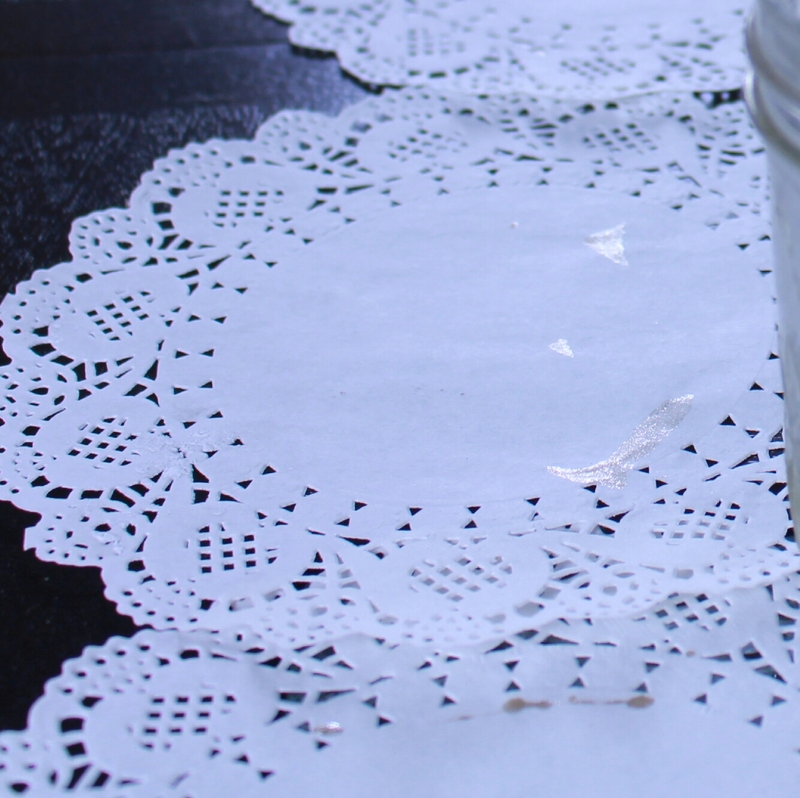 I made a table runner of sorts by overlapping lots of doilies along the Centre of the table. I added a touch of gold by swiping gold paint over them in a random fashion. I went with pink and white carnations. Carnations are often a very affordable option from the florist costing only a few dollars. I used about 4 bunches in all keeping the look minimal. I swished some of the same gold paint onto the flower petals to keep with the theme and placed them in jelly jars. My “Centre piece” began with ambition. In fact, the failure of this centrepiece led to the final colour scheme, so maybe it was for the best. For the centerpiece of an Easter Brunch I had to incorporate eggs somehow. I decided to dye some eggs. People have different methods of doing this. 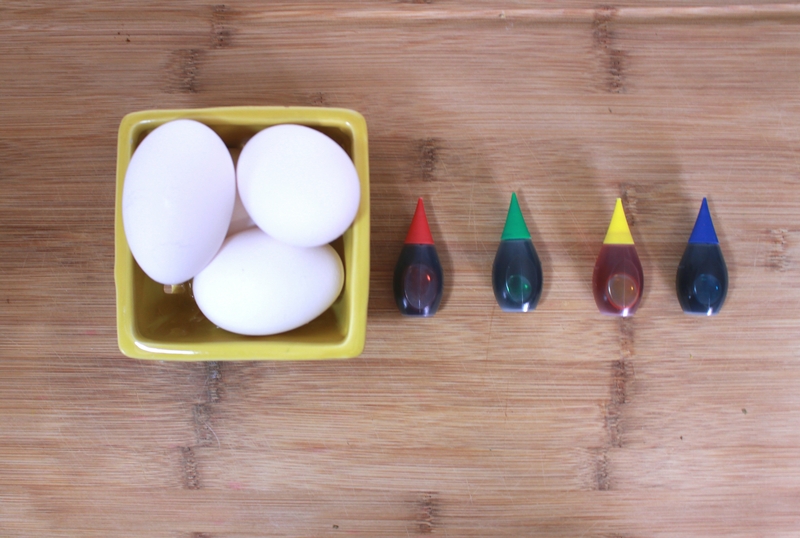 The best way I’ve found is using regular food and egg dye and a bit of vinegar to allow for better uptake of colour. 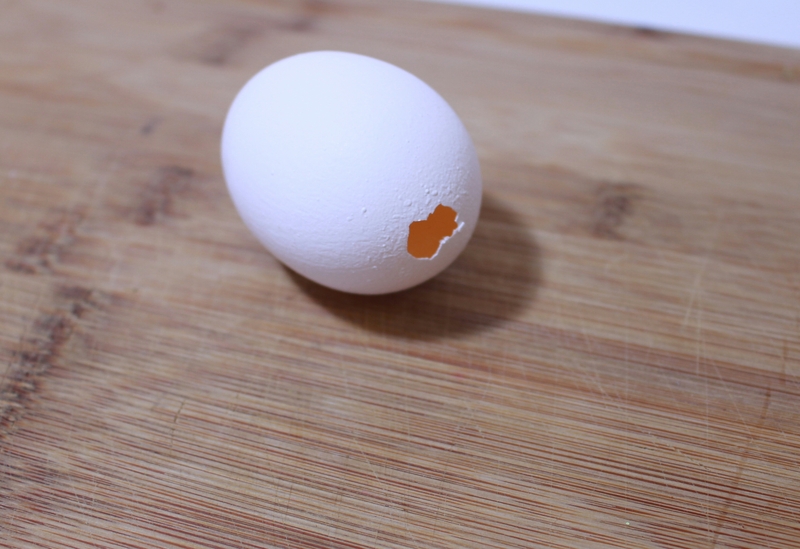 I removed the contents of the eggs by making a small hole at one end and simply allowing it to run out, gently shaking if you need to. Don’t waste your egg ! I put mine in the refrigerator and made omelet the next day. 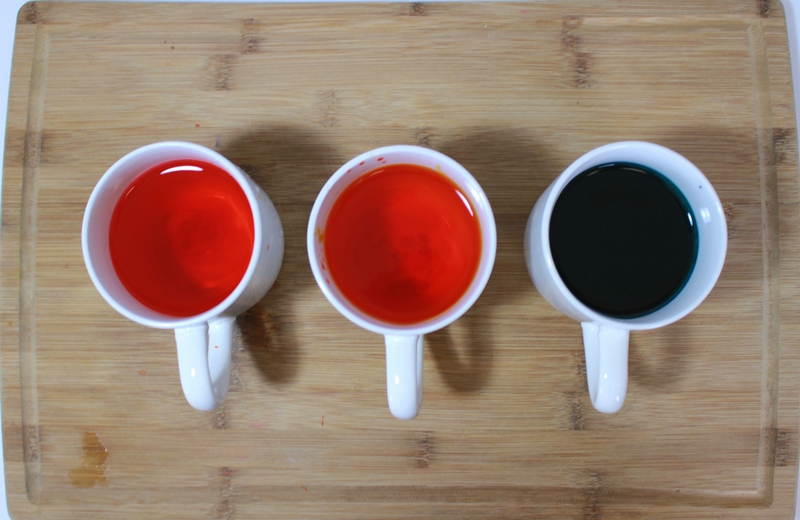 I mixed the dye, vinegar and water in a mug. I find you get a more even coating if you use a mug. 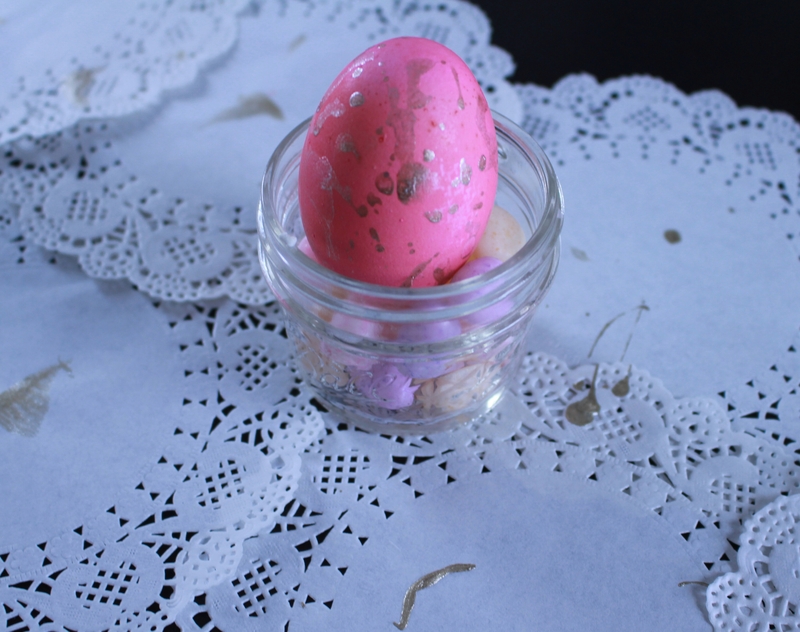 Once my one surviving egg was dry I splattered it with the by now ubiquitous gold paint. I displayed it in a mini jelly jar on a bed of Easter egg shaped jelly beans. 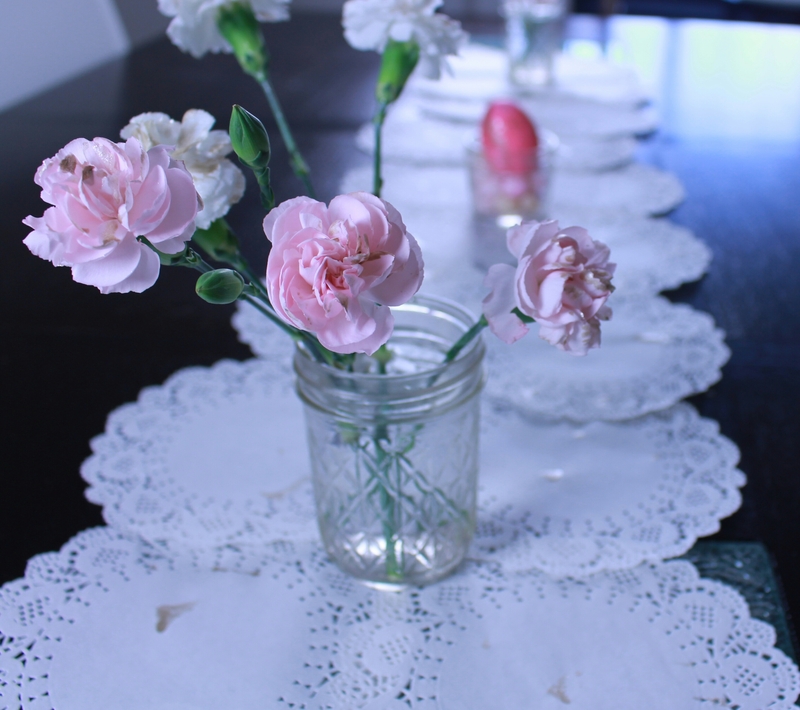 I placed the flowers and Centre piece on the table runner and laid the table with simple white plates and bowls. Easy breezy Easter Brunch. 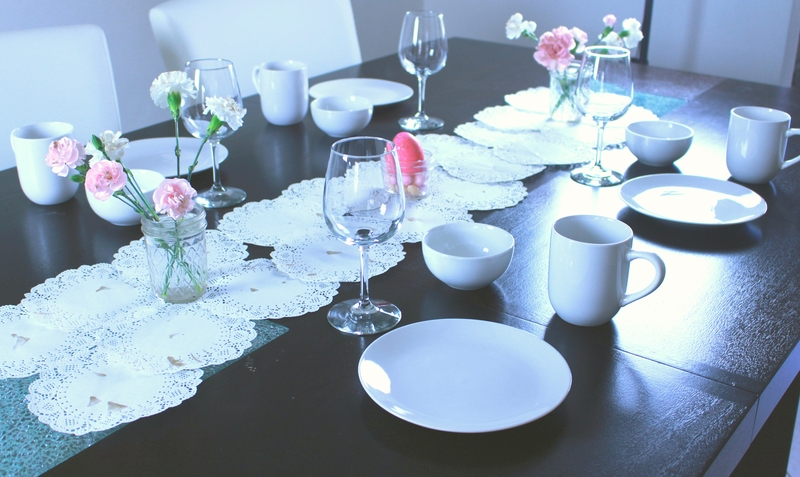 Hopefully some of these ideas will inspire you if you plan on doing brunch for Easter or any other occasion. Have a happy Easter and an awesome day!